With the best weather to be found in the ‘Sunny South East’ and value for money being offered in abundance it’s no surprise that the Southeast is growing in popularity as a golfing destination among natives and visitors alike. As Capital of the Southeast Waterford City offers an astounding 37 exceptional golf courses within driving distance, which includes the world famous, Jack Nicklaus designed Mount Juliet Championship Golf Course. This 18 hole Golf Course is a hidden gem on the outskirts of Waterford. The course is situated 10 minutes from the Hotel on a hill with magnificent views overlooking the historic city of Waterford. 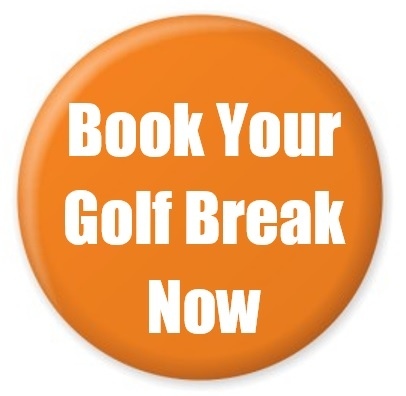 Williamstown golf course is open to all guests on a pay and play basis. The club situated 10 minutes from the hotel offers an 18 hole course and a newly built clubhouse which offers immaculate and enjoyable surroundings for golfers. Waterford Castle is Ireland’s only true island golf resort. The 18 hole course located 15 minutes from the Hotel is completely detached from the mainland making it a unique golfing experience. Awarded ‘Best Golf Resort in Munster by Golfers Guide to Ireland 2014 this 18 hole golf course is situated 15 minutes from the hotel. It has been perfectly designed by renowned Irish Golf architect Mr. Paddy Merrigan on the banks of the River Suir making it a fantastic golfing experience. This 27 hole golf course is one of the finest and oldest golf courses in Ireland. Situated 20 minutes from the Hotel they have become established as one of the premier parkland courses in Ireland and played host to the Irish Close Championships on 3 Occasions. Dunmore East Golf Club located 20 minutes from the hotel, overlooks the village of Dunmore East. It boasts panoramic views of the village, the bay, the Hook Peninsula, Waterford Harbour Estuary, the Saltee Islands and the Irish Sea. This 18 hole parkland course offers idyllic surroundings, fresh clean sea air, combined with stimulating and challenging golf. Dungarvan Golf Club is located 30 minutes from the hotel and is set against the backdrop of the Comeragh Mountains. This attractive and excellently maintained 18 hole golf course has been architecturally designed to challenge all levels of golfer. Gold Coast Golf Club is a championship parkland 18 hole course. Situated 40 minutes from the hotel, there are unrivalled views of Dungarvan Bay, the Irish Sea and Helvick Head. It’s worth walking the course simply for the scenery. West Waterford Golf & Country Club situated 40 minutes from the Hotel welcomes visitors throughout the year. The 18 hole course is maintained in excellent condition, with greens offering superb playability throughout the year.